Home / Pakistan Current Affairs / Who will be the caretaker Prime Minister of Pakistan 2018? Question: Who will be the caretaker Prime Minister of Pakistan 2018? PMLN (N) Government ruling is finally coming to an end. And now it’s time to come up with some suggestions for the caretaker Prime Minister of Pakistan. All the parties are stepping ahead with their nominated names for this post. The former Governor State Bank of Pakistan, Dr. Ishrat Hussain has made itself emerging to be one of the strong contenders for the post. He enjoyed the Government as well as opposition and also the military establishment. This is for the first time that Ishrat name has been under consideration. Therefore, he was also the first candidate for this slot in the year 2013 as well. It is all about the quest for Who will be the caretaker Prime Minister of Pakistan 2018. Another candidate for the caretaker prime minister is the former chief justice Tasadduq Hussain Jillani. However, the third option from the side of PPP is the name of Engineer Shaukat Ullah. Do you Nawaz sharif disqualified under constitution article no? He was a former KP Governor. He is from FATA. Former chief justice Tassadduq Hussain Jillani’s and the ex-governor of State Bank Ishrat Hussain’s and Abdul Razak Dawood’s names have been finalized by PTI as meant for the post of caretaker prime minister. 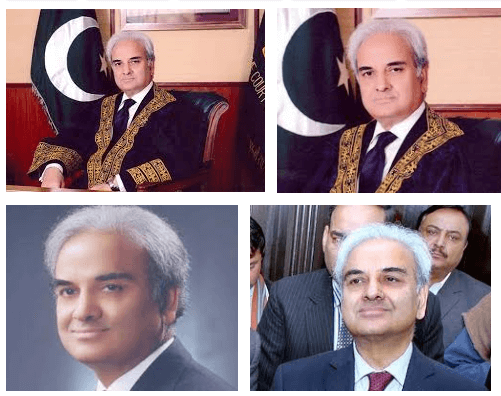 Justice Nasirul Mulk was appointed as Chief justice by Nawaz Shairf.